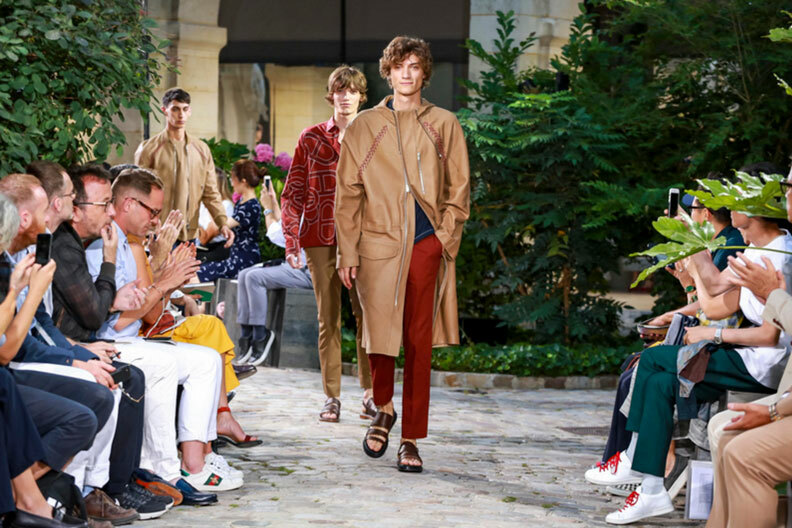 For the penultimate luxury fashion house built on mature minimalism and traditional materials like cashmere and leather, Hermès has taken a step outside its usual lane in terms of what’s on offer for its male customer base in Spring/Summer 2018. In fact, the newest collection by head of menswear Véronique Nichanian – shown in full in the runway show video below – channelled as much of a youthful, hipster feel as we’ve ever seen from the brand, starting from the trainer and leather slide-clad feet upwards. 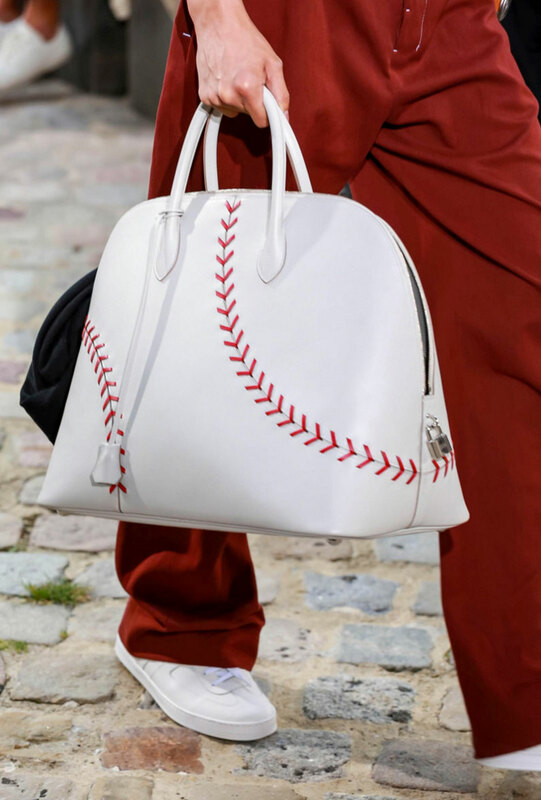 Of course, there was no shortage of the artfully tailored pieces and high-end materials we expect from Hermes, but baseball stitches on bags and tracksuits in the a patented high shine fabric called Toilbright brought a freshness to the collection that’s sure to appeal to a new audience. Unofficial hashtag: #rappersdelight.